Tonight I was playing with an idea. I wanted to journal my last week, but I wanted to hide the journaling after I had written it. I could have done this in one of my art journals, but I saw this unopened 11″ x 14″ canvas and thought “Why not?”. The canvas was already primed so I pulled out my black india ink and my dip pen and wrote in a circular motion all around the canvas. (I have blurred out the writing, but you can still get the idea). 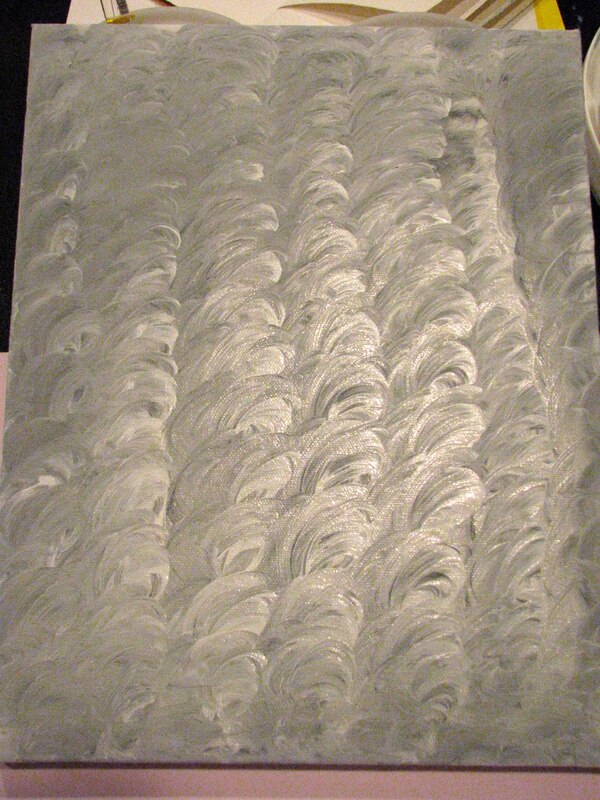 I let the canvas dry for a bit and then covered it with a light coat of gesso. As it turned out, the india ink had not completely dried yet and was bleeding into the gesso. Hmm, now what? I finished coating it with gesso and then grabbed a paper towel and started rubbing the paper towel in a circular motion, top to bottom, in strips. This is what was created. Shades of grey in wave forms. 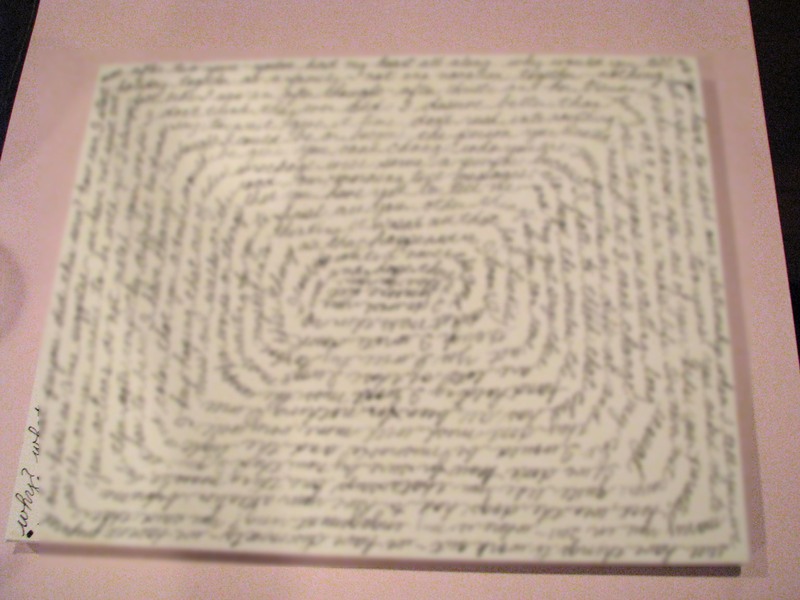 You would not know that there was ever any journaling underneath, but I know that the writing I did tonight was soothing and put an exclamation point at the end of a very difficult week. I’m going to let this dry overnight and see where I want to go with it tomorrow. This entry was posted in 2013 and tagged art journal. Bookmark the permalink. Robin – you’re right! They do look like storm clouds! All the more reason to cover them up. Still trying to decide what to do next. Looks like storm clouds! If your week was like mine, that would be a very appropriate representation of the writing they represent. Even if not, what a wonderful background.